Welcome to Pipe Babes 2013! here, or from 2009 - 2011, look here. Because everyone appreciates a beautiful woman. "Pipe Babes" is not meant in a derogatory way. It is a compliment to any woman to be called a "babe". In our observations, even women check out other women. Did you ever notice that men’s magazines usually have a beautiful woman on the cover? Did you ever notice that women’smagazines also usually have a beautiful woman on the cover? Of course, the men are looking because … uh … we’re men! The women are looking because they are making comparisons, sizing up the competition, and getting ideas for themselves. We hope you enjoy these lovely ladies smoking pipes. Attention Ladies! We are seeking models interested in being photographed smoking a pipe. Please see the bottom of the page for more information. Gabrielle and Ian are sporting their smoking jackets from SmokyJoesClothing.com while hanging out in downtown St. Petersburg, Florida at Central Cigars cigar bar. Gabrielle is smoking a Dunhill Dress 41241 pipe from PipesMagazine.com Publisher & Editor, Kevin Godbee's collection. The pipe is from the estate of Aaron Spelling. Ian is smoking one of the house cigars from Central Cigars, which are actually quite good. Photos by David Hall & Photo Inc Productions. 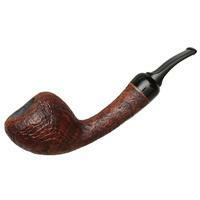 Many people recognize the Churchwarden pipe as the style of pipe smoked in the Lord of the Rings and Hobbit movies. Some even refer to it as a "wizard pipe". 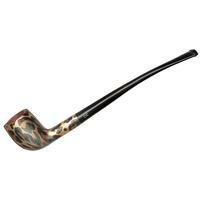 Jane is enjoying smoking a Brebbia Lectura Churchwarden as she relaxes with her pipe. Gabrielle is relaxing in jeans while enjoying the rich, sweet flavors of a vintage 2009 Samuel Gawith Full Virginia Flake. She is smoking a Winslow "D" grade Quarter Bent Tomato. This shoot location was at the condos of McNulty Lofts in Downtown St. Petersburg where PipesMagazine.com Publisher Kevin Godbee resides. Photos by Steven Kovich Productions. Pipe Babe Katy debuted back in April as our first ever model with tattoos. This red hot redhead celebrated her 22nd birthday last month, and we are pleased to have her do an encore as our September 2013 smokin' hot Pipe Babe. 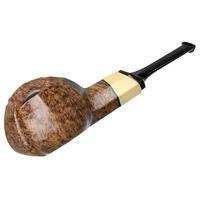 Katy is smoking a Kaywoodie London Made Medium Billiard with a Long Saddle Bit. Her tobacco of choice is Sutliff Molto Dolce. We shot this in downtown St. Petersburg FL at the McNulty Lofts Condos. Photos are by Steven Kovich Productions. 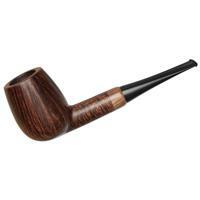 Gabrielle is smoking 2001 Escudo in a Lane-Era Charatan Dublin "After Hours" Pipe. We introduced you to blue-eyed, strawberry blonde Jane back in February. She returns for our June Pipe Babe photoshoot sporting her orange sheer summer dress while smoking a Luciano Smooth Dark Contrast Slightly Bent Apple No. 255. We shot these photos of Gabrielle at Ruby's Elixir, which is a great Jazz & Blues club in downtown St. Petersburg, Florida. Ruby's is attached to Central Cigars, a full liquor and cigar bar with several name brand cigars and their own house blends as well. Smoking is permitted not only in the cigar lounge, but in the jazz club as well. In this shoot, Gabrielle is sporting a beautiful pink smoking jacket from SmokyJoesClothing.com. They have gorgeous high quality smoking jackets for men, women, and even dogs! They are not only a great high quality smoking accessory, but also great for dressing up an outfit for a night on the town. The pipe Gabrielle is smoking is Pipes Magazine Publisher, Kevin Godbee's 2007 Dunhill Rubybark 4110 Straight Billiard with Sterling Silver band. When Katy saw last month's shoot of Julia she loved the Churchwarden pipe and said; "Oooh, can I smoke that one too!?!?" As you can imagine, it's kind of hard to say no to Katy ... especially when she gives her big smile and bats her eyelashes. So the Brebbia Lectura Churchwarden makes an encore as we introduce you to PipesMagazine's first ever Pipe Babe with tattoos. We think Katy wears them well along with her fiery red hair. For the month of February, we'd like to introduce our newest Pipe Babe. Jane has quite long Strawberry Blonde hair, and extremely blue eyes. In her debut shoot, Jane is smoking a Kaywoodie London Made Medium Billiard with a Long Saddle Bit. We kick off 2013 with a creatively done black & white film noir shoot where Chelsea sports a polka dot dress and retro hairstyle. She is smoking a churchwarden with a petite apple bowl. This photo shoot is sponsored by Scandinavian Tobacco Group Lane. Attention Ladies! We are seeking models interested in being photographed smoking a pipe. 1. You are at least 18 years of age. 2. You are above average in appearance. 3. 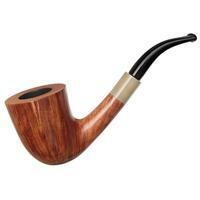 Pipe Smoking - for amateur models, we prefer that you already smoke a pipe in real life. For professional models, you need to be willing to smoke a pipe for real during the shoot. No just posing with the pipe. If you meet these requirements, we will need 2-3 pictures of you; 1) head shot, 2) full body shot, and 3) picture of you smoking a pipe (optional for professional models). Also, please advise your geographic location. Please use the Contact Form Here to get in touch with us!